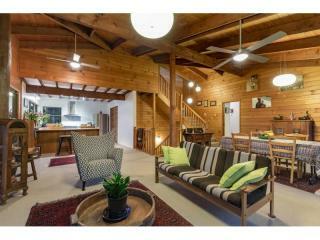 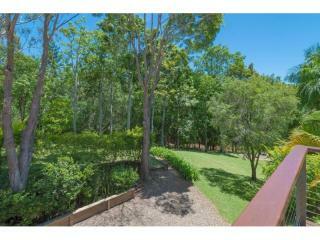 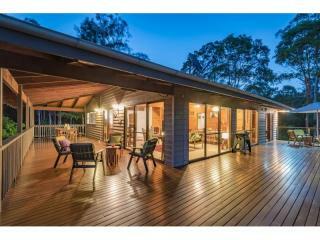 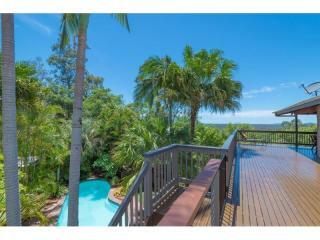 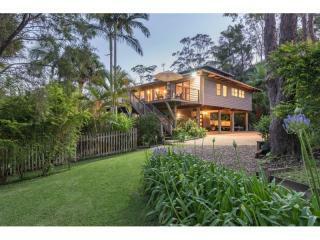 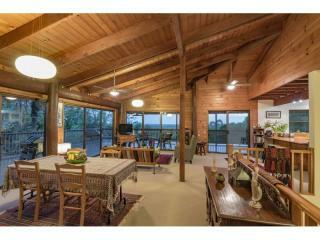 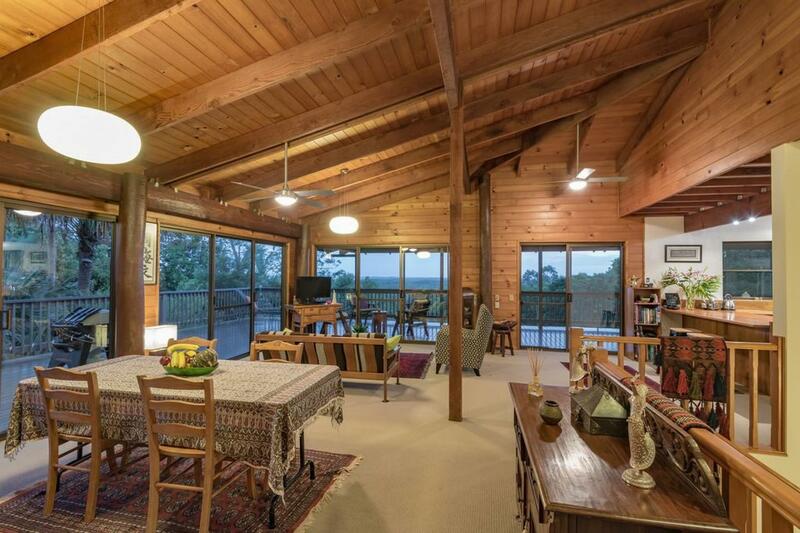 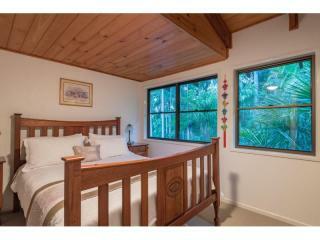 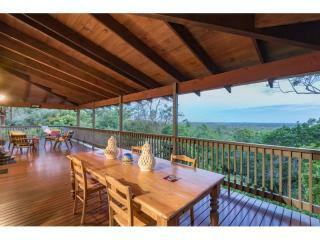 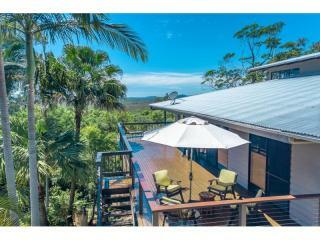 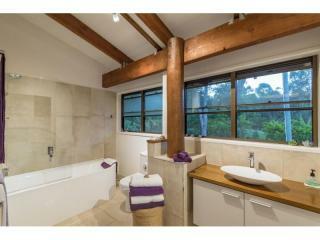 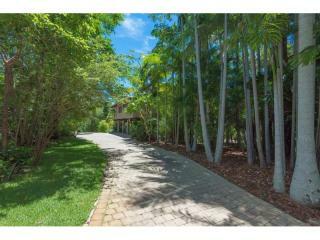 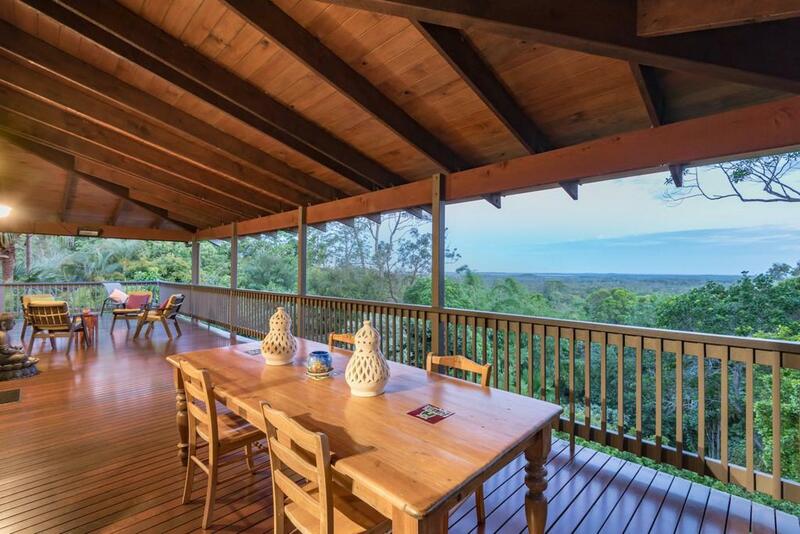 There's a lot to love about 10 Hinterland Close, Tinbeerwah. 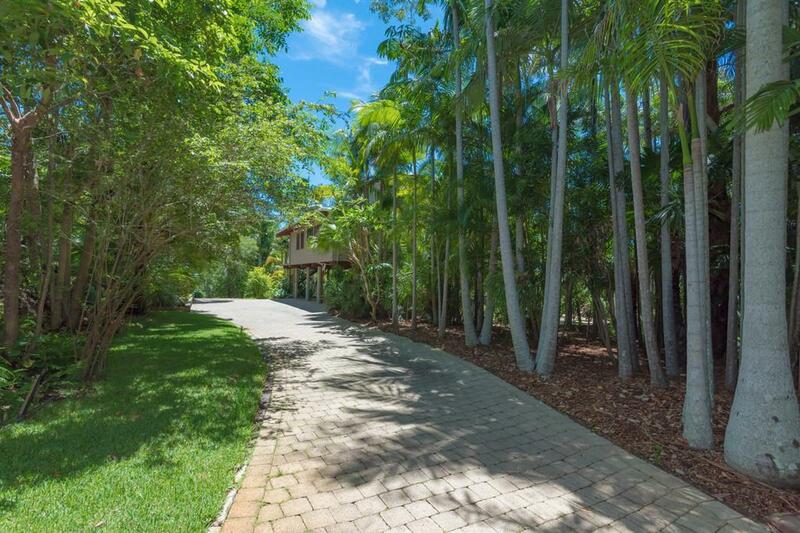 This immaculately presented and stunning home sits proudly on 1.05 hectares of easy care, landscaped gardens at the end of a private country road in Noosa's sought after Golden Triangle. 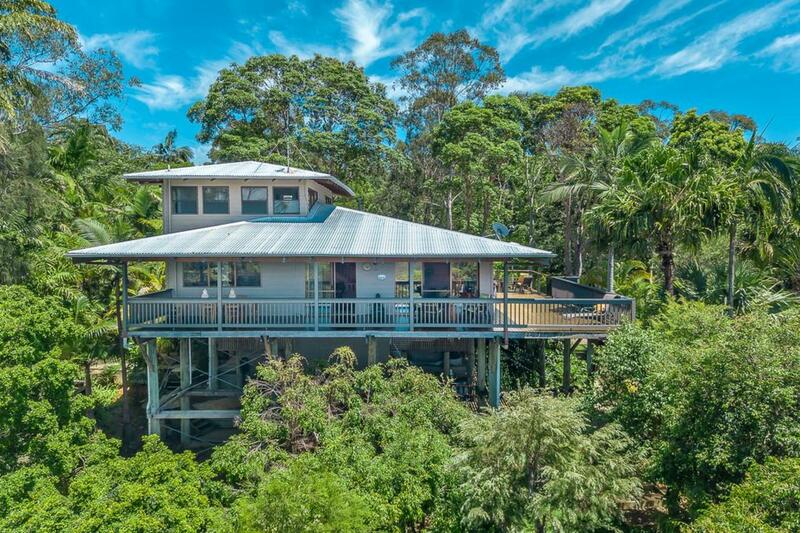 The elevated position ensures cooling breezes and the beauty of nature combined with impressive ocean views -makes this a peaceful and relaxing haven to come home to. 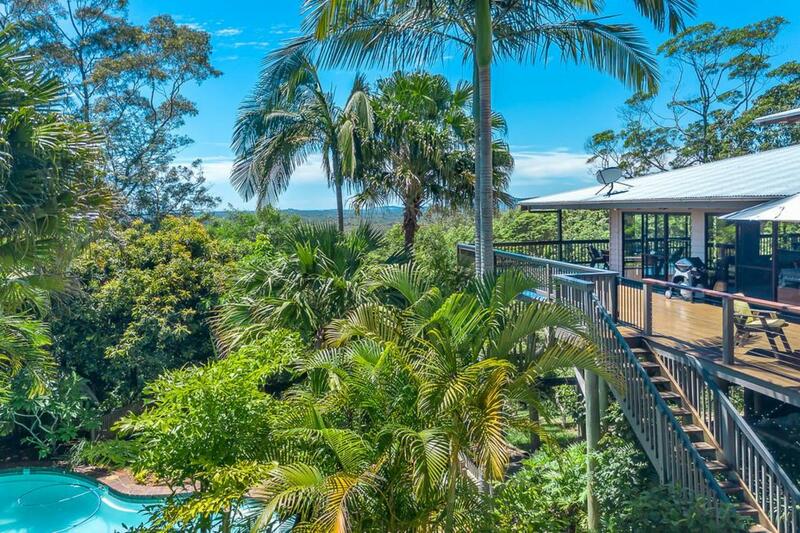 A bird lover's paradise! 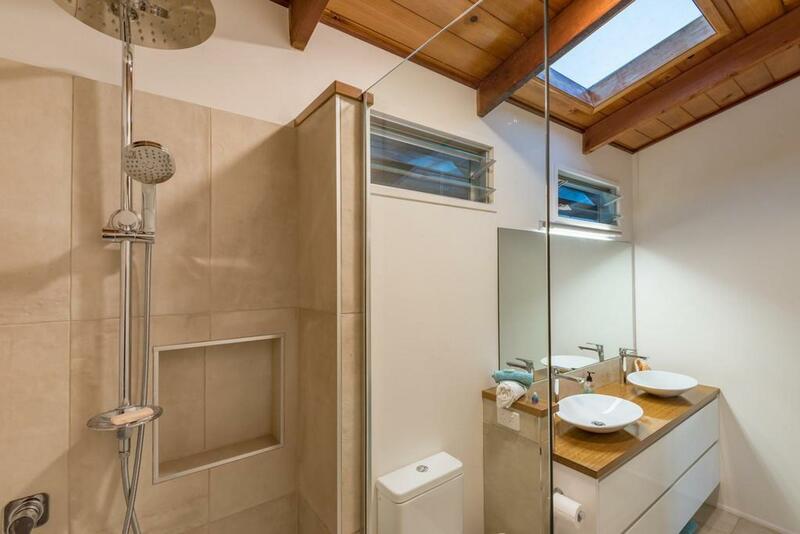 Stylishly updated by its current (and only its second) owners, the property offers complete privacy and unrestricted al fresco living all year round. 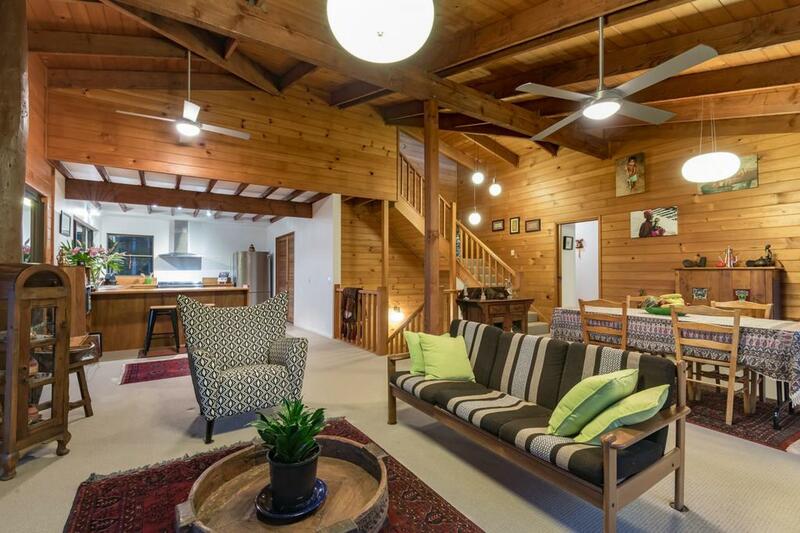 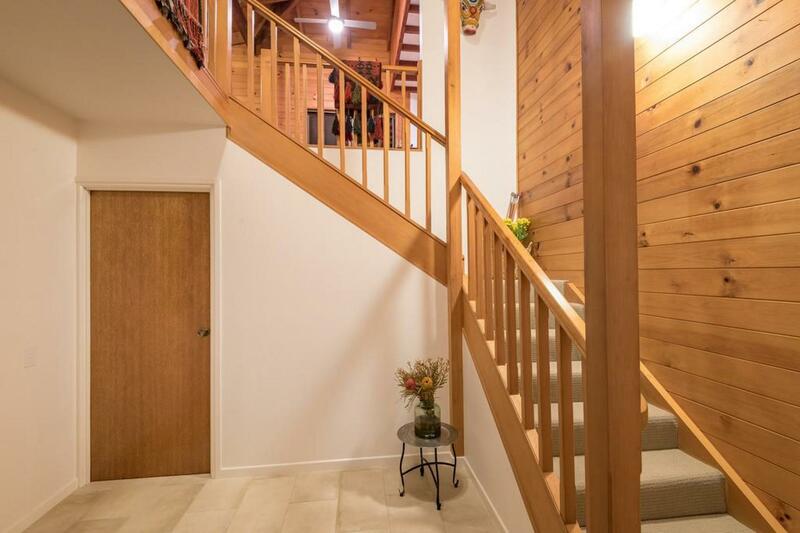 Light, airy living spaces with timber features, high raked ceilings and neutral tonings throughout exude a welcoming warmth. 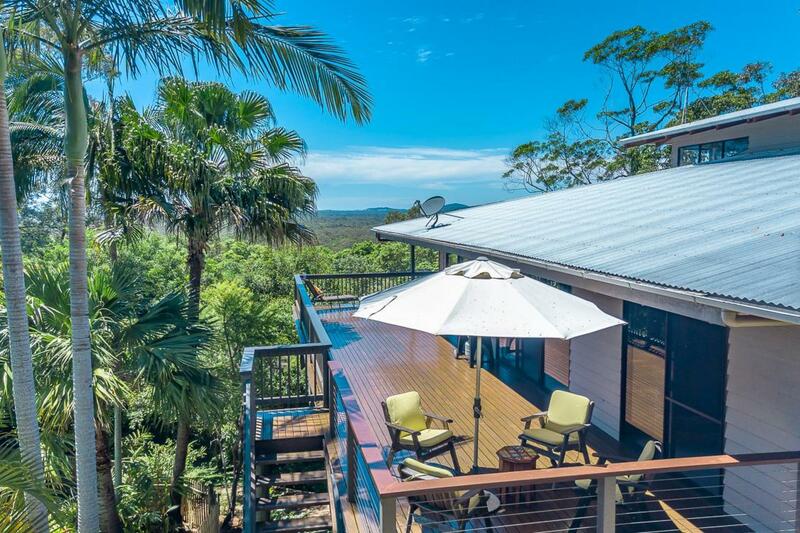 Large, glass sliding doors open from the spacious lounge/dining room onto a deep, double-sided verandah designed for winter sunlight as well as summer days gazing at the spectacular coastline from Peregian Beach to Coolum. 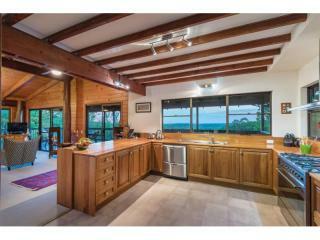 The spacious functional kitchen also enjoys the spectacular view. 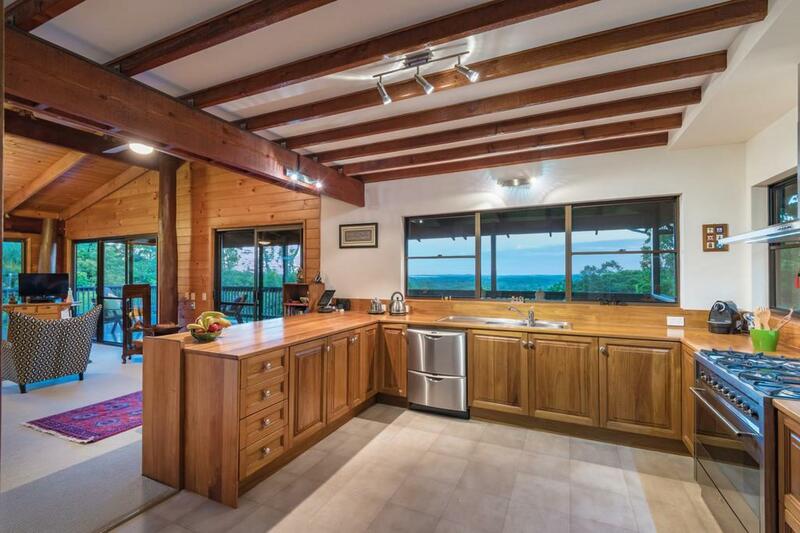 Its handsome timber cabinetry and benchtops have been retained while new stainless steel appliances, including a dishwasher and 900mm dual fuel Smeg stove, and a breakfast bar have been added. 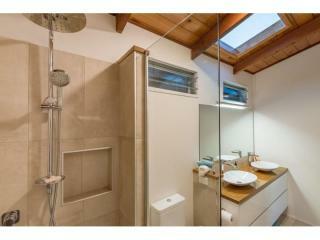 Keen cooks will appreciate the extra large walk-in pantry amusingly referred to by the owners as the 'Lady's Shed'. 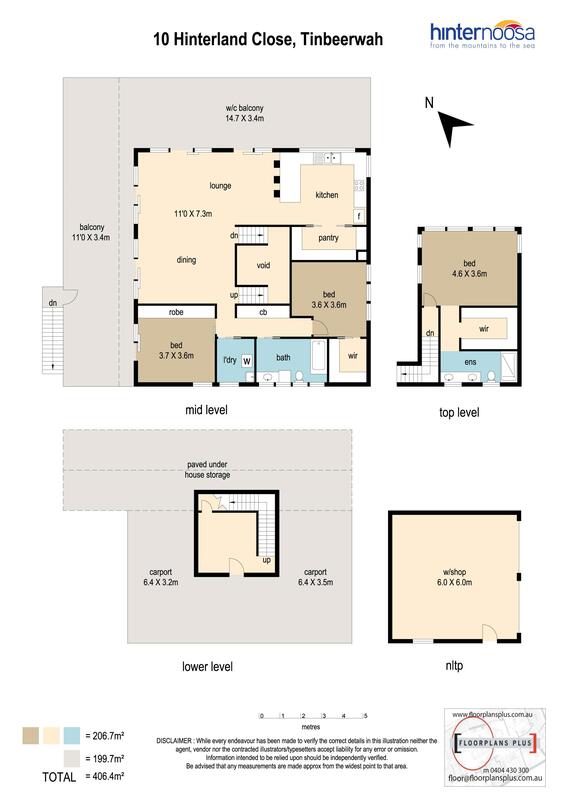 There are two queen size bedrooms on this level (one presently used as a TV room/office), plus a laundry and a new main bathroom. 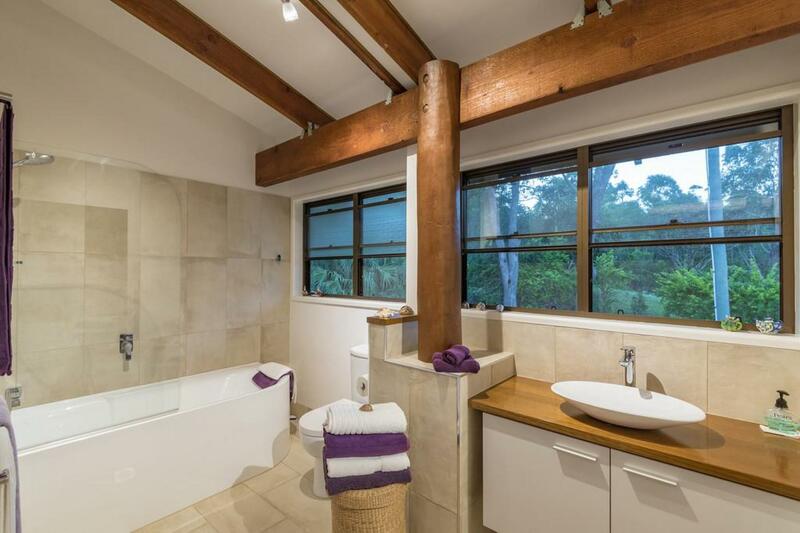 The bathroom, with its large windows cleverly bringing the green outside in, is sleekly designed and fitted with Italian tiling, deep white tub, and vanity and hardwood benchtop. 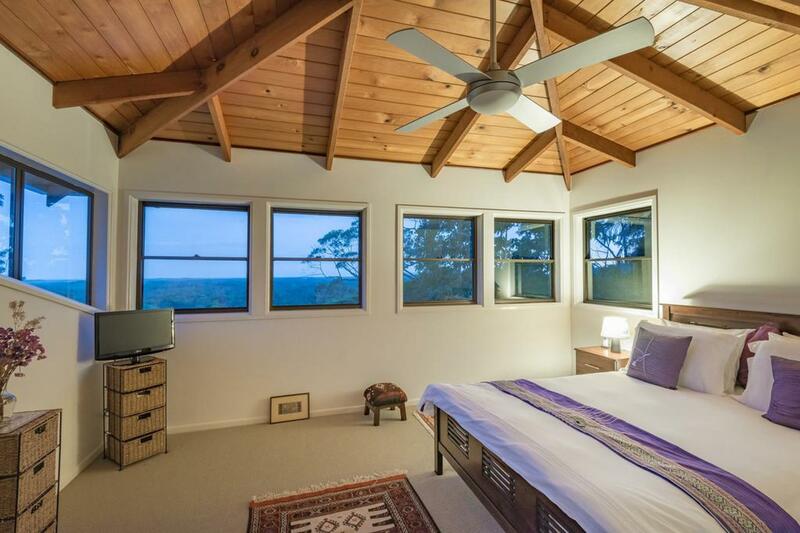 Upstairs, the generous master suite comprises: a bank of windows from which to admire the ocean view, a spacious walk-in robe to accommodate his and her clothes, and a chic new bathroom with double vanity and rain and body shower. 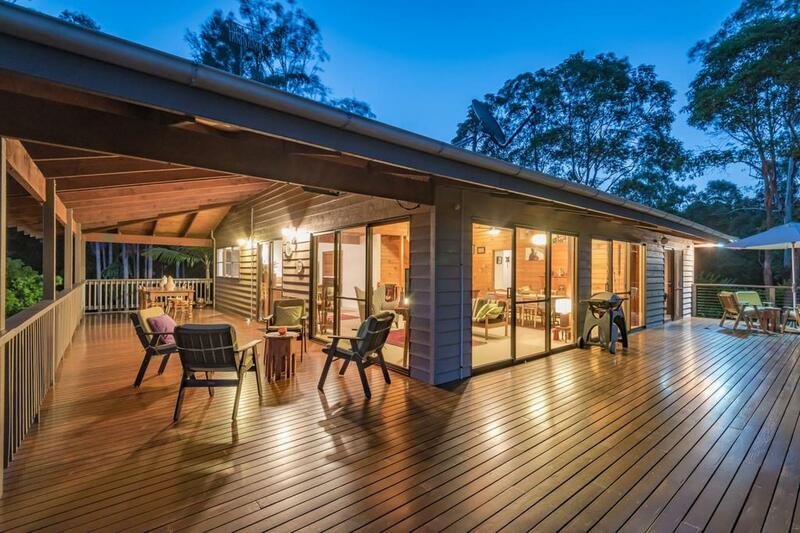 Outside in the grounds, there is plenty of appeal with an in-ground, saltwater pool, easily maintained lawns and established trees and shrubs, plus a handy two-bay shed. 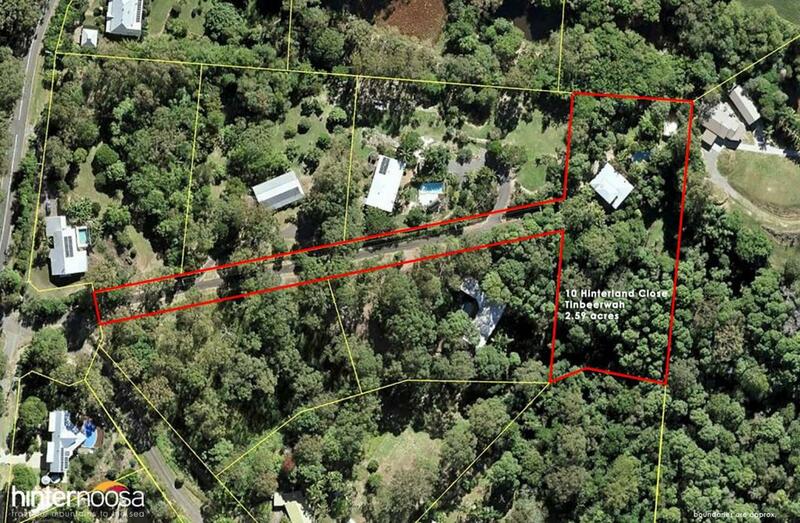 There is also a huge potential to develop the area under the house for extra accommodation, workshops, or garaging. 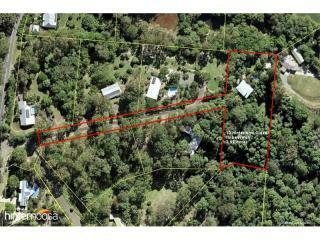 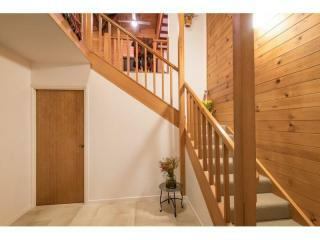 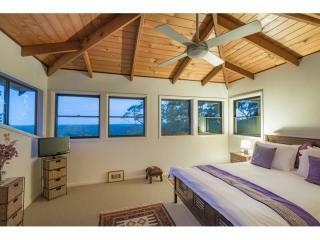 The property is well watered with its own bore and 2 X 10,000 gallon rainwater tanks. 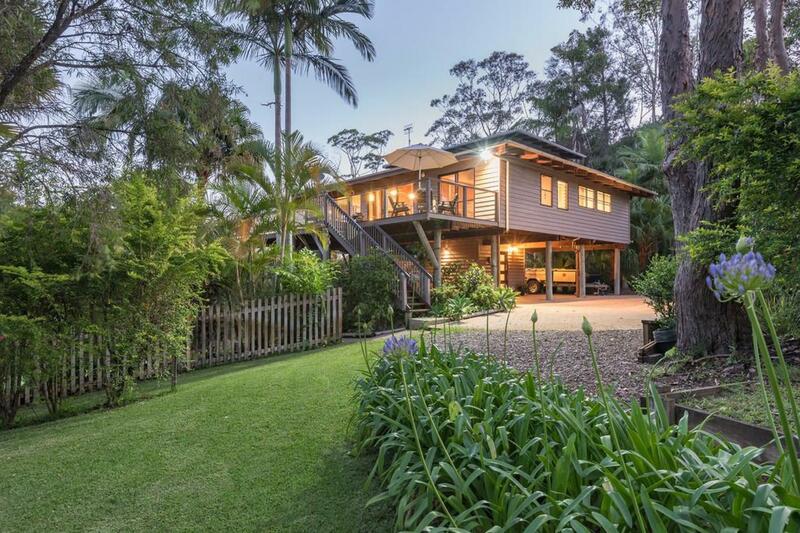 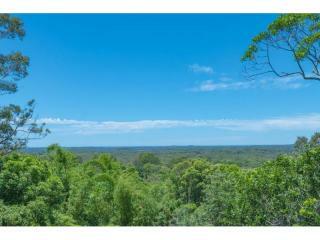 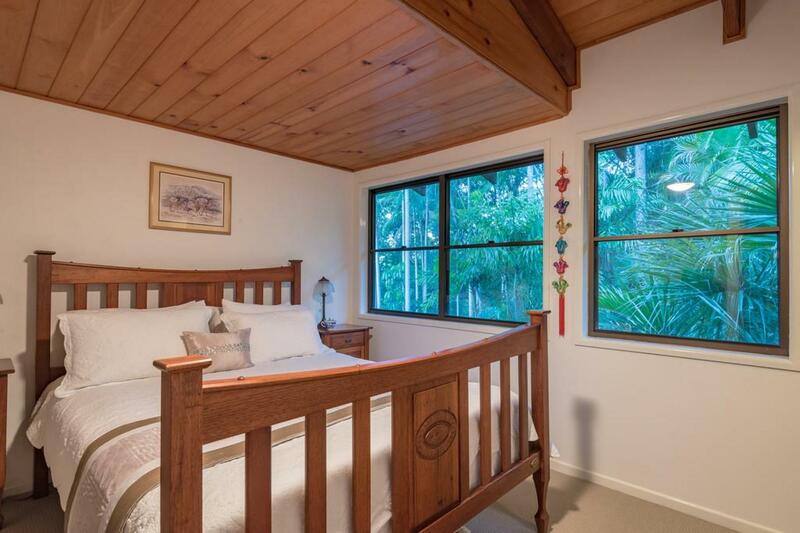 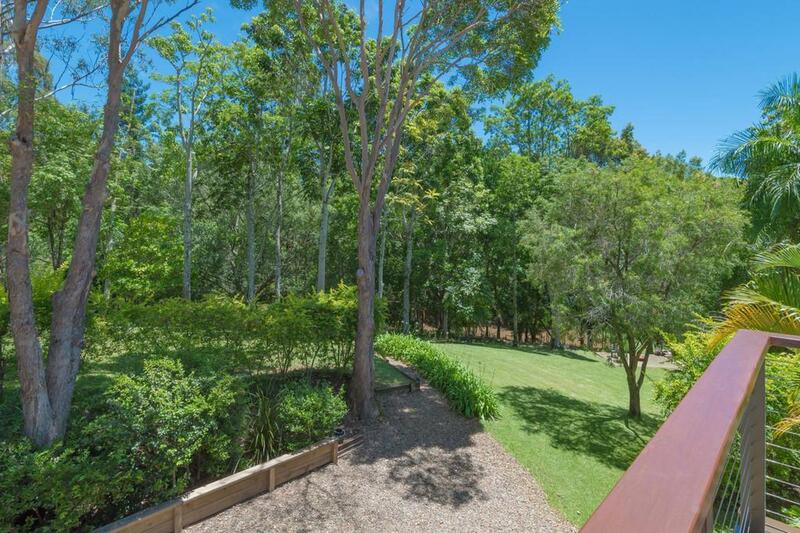 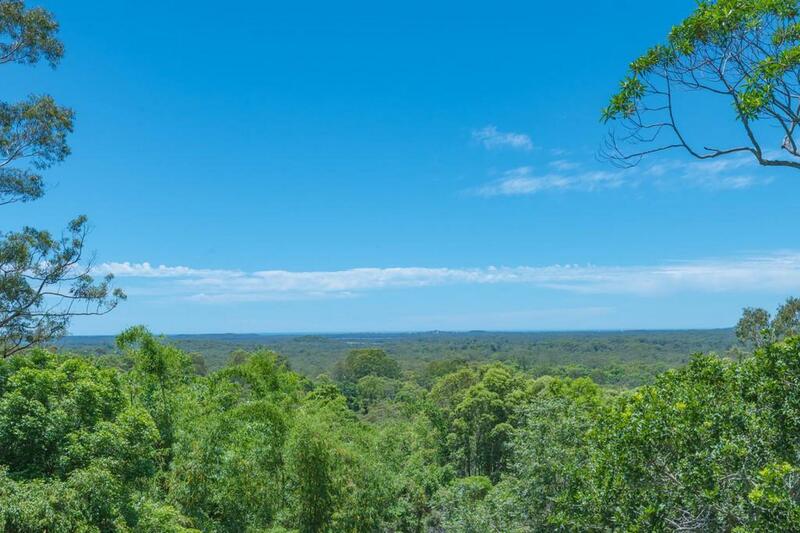 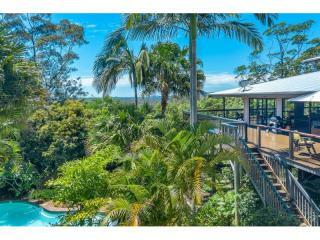 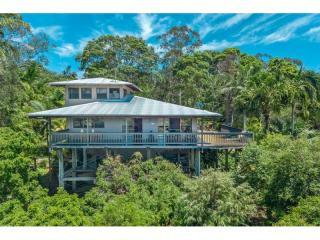 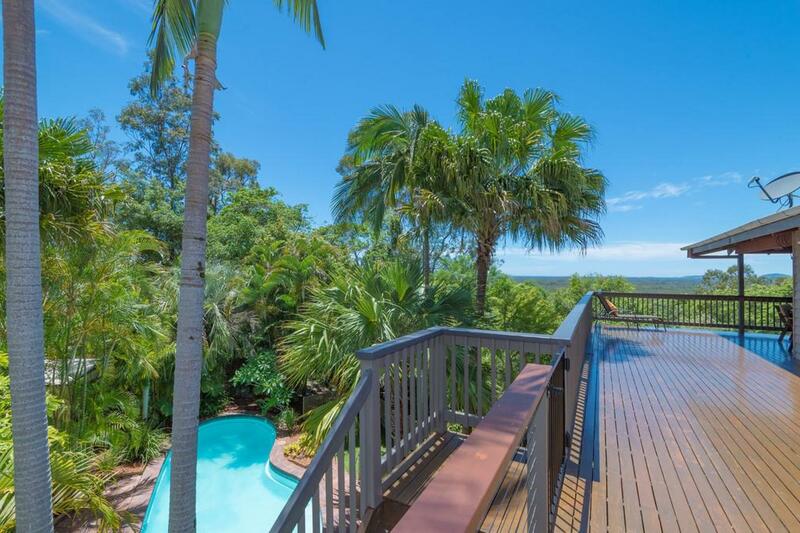 Its position offers easy access to Sunrise Road and from there throughout the hinterland to nearby towns of Eumundi, Cooroy, Tewantin and Noosa.